Recently I’ve been pondering the nature of ‘copyright’. On one side of the debate we have the most aggressive legal (though somewhat amoral) approach as practised by patent trolls suing whomever they can in Marshall, Texas (see article) and on the other side, the seemingly limitless lifting and reusing of images, text and music without reference, citations, credits or fees, like a rash all over the Internet. 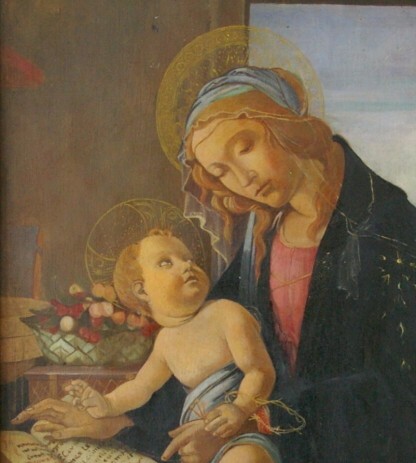 The Madonna of the Book – Botticelli. Museo Poldi Pezzoli, Milan. In the middle of these two extremes are ordinary people living in our everyday world trying to share interesting experiences, sometimes for gain, but often just for the joy of passing on the delightful, the fascinating and the newsworthy. Copying is a human past-time and indeed, copying was part of the training when an apprentice studied painting with a great master. 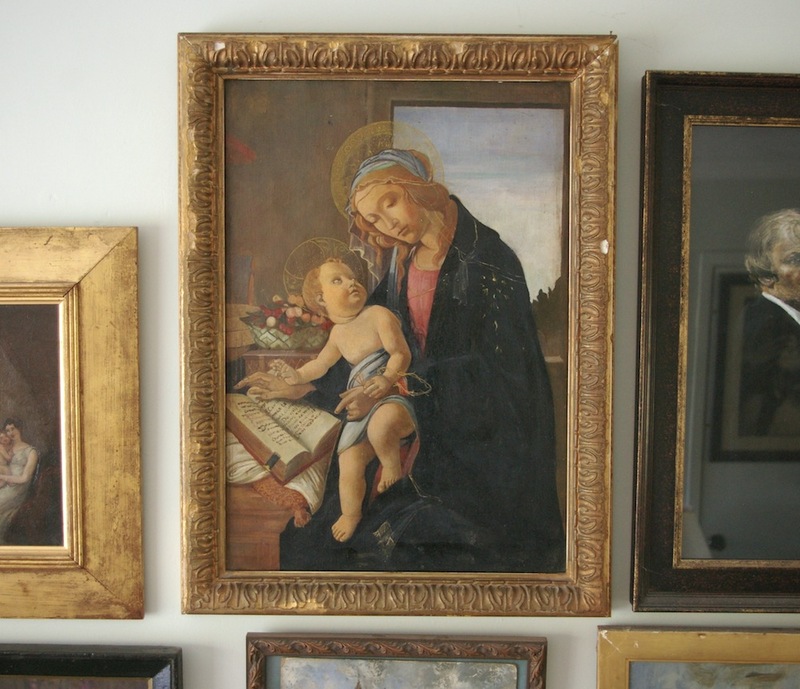 The tradition of copying whether for learning or commercial reward is demonstrated by these various copies of ‘The Madonna of the Book’ by Botticelli. Madonna of the Book – School of Botticelli, Museum of Biblical Art, Dallas, Texas. A copy. I absolutely appreciate the need for creative/ideas people to make a living from their endeavours if that is their chosen path. And, when you consider all the different types of creative professionals, I think photographers are having the hardest time with the unattributed reproduction of their work on the Internet. It takes skill and time to take professional photographs and often more time and work in post-production. The music industry has finally found a suitable business model in the brave new world of the web by making money from live performance and merchandise, but what about the authors and the visual artists. 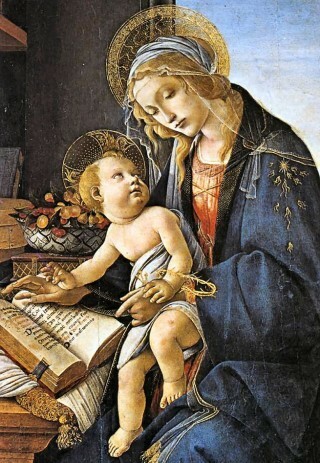 My 19th-century copy of the “Madonna of the Book’ by Botticelli. Another copy. Detail of my Madonna of the Book – a Victorian copy. The face is a really good version, but the hands, hair, flowers and textiles are not well copied. It is all a very tricky area. People should get recognition for their work and their ideas, but then for how long? You would think that when the maker/creator dies that would be it – but not so. I am not at all legal so sorry if this is technically adrift, but in the UK the duration of rights for literary, dramatic, musical or artistic works is 70 years from the maker’s death. Of course, there is also the notion of ‘fair use’ – not as straightforward as it sounds, and then ultimately all the copyright laws vary from country to country. So, here’s a little conundrum, my deceased mother painted this oil painting (The Whisper) of Cardinal Ratzinger talking confidentially to another cardinal. She created it from a photograph in a newspaper and I have now photographed the oil painting – it’s making my head spin!